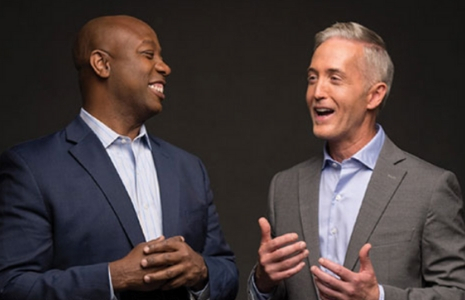 The Pepperdine School of Public Policy and The Trinity Forum will co-host an Evening Conversation entitled, "Faithful Friendship Amidst Difference" with Senator Tim Scott and Congressman Trey Gowdy. This event will take place on Tuesday, December 11th, 7 - 9 PM at the National Press Club in Washington, DC. The discussion will evaluate the themes of their new book Unified: How Our Unlikely Friendship Gives Us Hope for a Divided Country. Join us for what promises to be a fascinating conversation on nurturing friendship across differences and learning to see, know, and love our neighbor.